Oh how I wish I could have visited the New York International Gift fair this past weekend. Alas I had to visit it vicariously though design blogs and have been on my computer relentlessly this weekend. 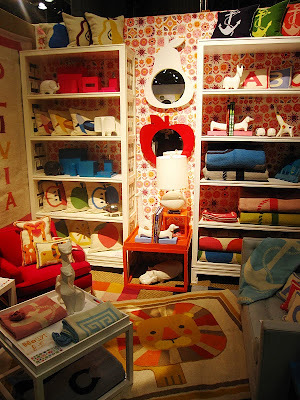 My sister Lara forwarded me a link this morning to a post on the design blog Coco Cozy about Jonathan Adler and his new collection Jonathan Adler Junior. All of the photos and information that I am sharing with you are from her post, so thank you for sharing your visit and photos Coco! 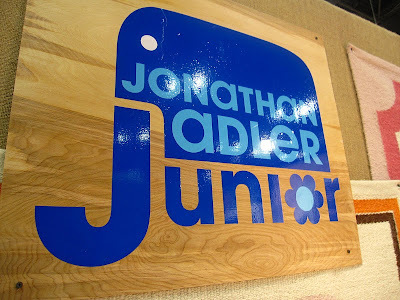 So in summary, it turns out that Jonathan Adler has launched a Junior collection featuring furniture, decor, rugs, pillows, mirrors, and their famous porcelain animals. 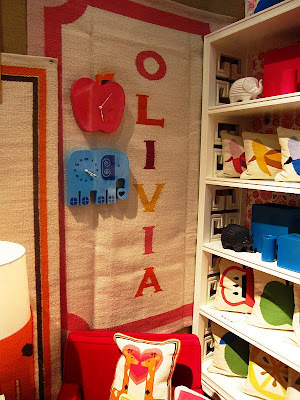 A fun catch is that pillows and rugs can be customized and personalized. The look seems to focus mostly on bright, bold, and happy colors with graphic animal, anchor & fruit themes. After doing some more searching on-line (and calling the store) looks like the line will be available at www.jonathanadler.com and in stores in about a month. 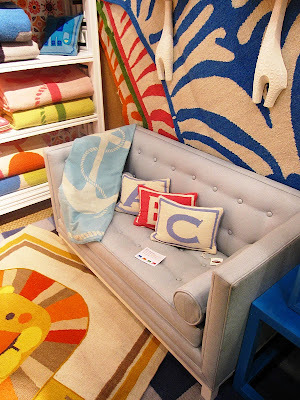 From the photos, my favorite pieces are the needlepoint pillows, rugs, and blankets. One could design a whole room around that adorable lion rug! 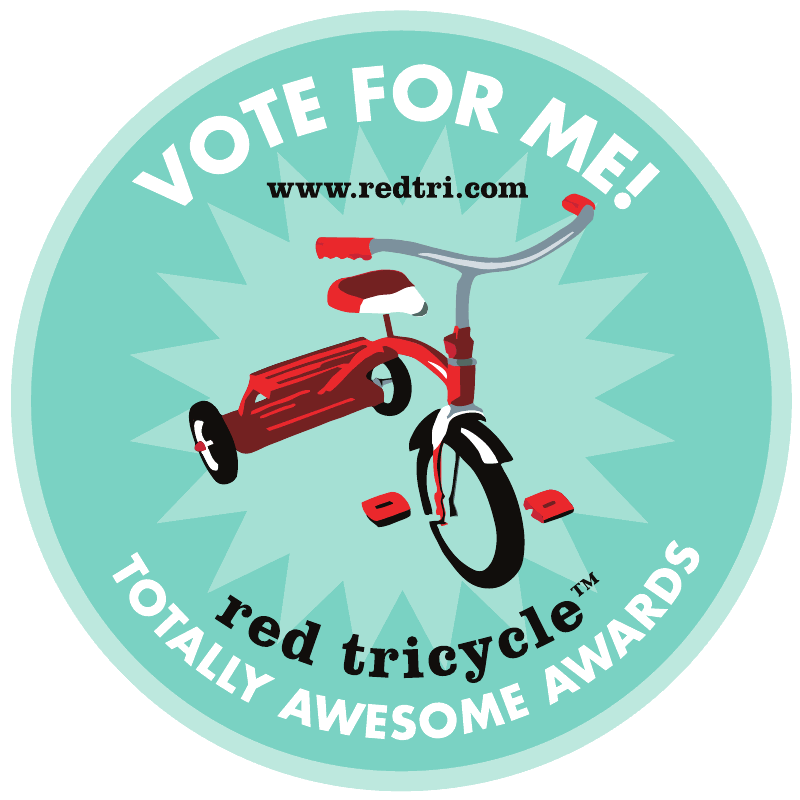 I think my son Tripp definitely needs that sofa above in marine blue for his big-boy room! Time to start saving up! You are welcome. Cute blog by the way.